Decorated nails are the new trend. In fact, today, if you do not have trendy nails, then you are considered as old-fashioned. In fact, these days, there are personality traits imagined as per the nails one sport. If you want stylish and fun nails, then solar nails is the way to go. Getting solar nail design is fun and a wise decision. Here is how you can get the best design. Look for a good nail technician. These days, every salon and nail artist is ready to get solar nail art on your nails. But you need to check if the person is skilled, trained and experienced to do the design. It is because when you get your nails done by a reputed nail technician, it will last longer. Look for the designs. Choose one that you like or you can give suggestions. Solar nail art and acrylic nails are almost same, but may be different only in a small aspect. So, if a salon tells you that both types are entirely different then, you need to bid adieu to it because it is a wrong concept technically. Go for it only if you are crazy about French manicure. If you are one of those, who love subtle designs, then solar nails is for you. 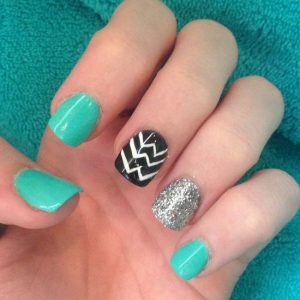 But if you are one of those who love bright and flashy designs, you should go for artificial nails instead. Remember that solar art for nails look natural and not too bright. This is the identification mark of this kind of nails. If someone charges more and shows you bright and neon colours then, this is not what solar nail art is. In this design, there are only two colours, white and pink. There are no extensions and no bulky designs are glued to your nails. This is the way to distinguish any other nail art from solar nail art. So get accordingly. Before you decide to get your nails done, find about maintenance tips and the duration. In terms of solar nail art, you can go about your routine life for more than 3 weeks. You need not worry about nail damage. If you see any gap between the two colours, then you should know that it is time to get refilling done. If you wish to continue with the design, go for refilling or you can remove it on your own. Removing acrylic paint from your hand is easy. If you are told that you will have to pay extra to remove the paint, and then remember that is not solar nail art they are speaking about. So, the basic tip about purchasing solar nail design is that never go as per assumptions. Know what it is and then make your decision.